A very settled end to the day. 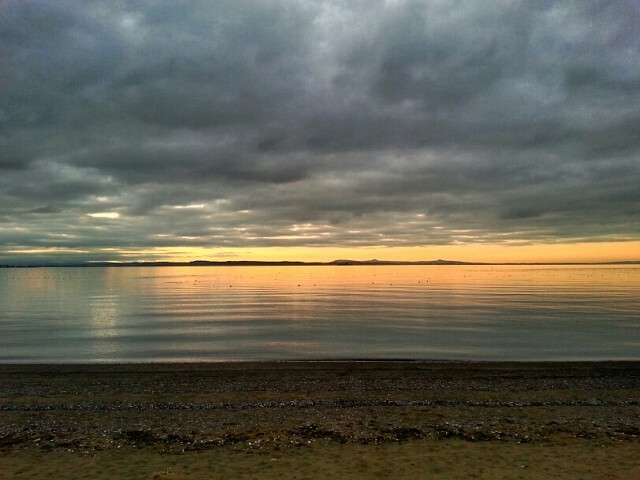 East Lothian was under cloud while Fife had a golden glow. The Firth just lay there.